Affordable and central with amenities that include a 24-hour clothing-optional heated pool. Minutes away from the ocean and the Sebastian Street gay beach. Partners with Worthington Guesthouse. 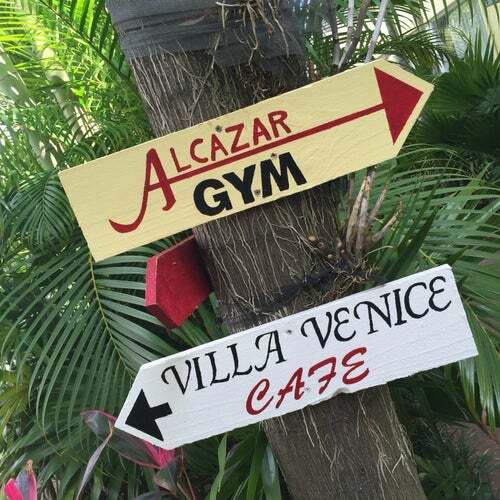 The worthington / alcazar is a great place to stay! Very clean and well maintained! The staff is very friendly! There is something for everyone! I am looking forward to staying again! This was the first gay resort where my partner and I have stayed. We'd planned on going to the beach each day, but my partner decided the clothing optional option was too good to pass up and we ended up hanging out by the pools all week (and at some point, most nights, too). The staff was super friendly and helpful. The guests, most of whom had stayed there before, were warm and welcoming. There was pretty much always someone to talk to. By the end of the week it felt like a cool, gay summer camp. The rooms were just what we needed, spacious, clean, and the fridge helped keep our booze and snacks cool. Easy walk to decent quick food resaurants. It was a short cab ride to the clubs. And when you come back there's always someone to chat with in the hot tub before you bed down at night :) The clientele was mixed in age, which we both liked. Everyone from daddy bears to late 20-somethings strolled in and out. It's not a luxury resort, but is a great value for the price. FUN, Relaxing and GR8 place to meet people! I stayed at the Worthington the first week, then stayed at the Alcazar to finish out my 2nd week. Just fabulous, couldn't ask for better place. We stayed here in Feb. 2008 and will be going back this month. The rooms were spacious, our room had a large bathroom, and a nice wet bar area. We also appreciated having a laundry room on site and the evening happy hour was great. Loved being able to walk to the beach as well. A great stay for the price. My partner and myself just returned from a week in Ft Lauderdale and the Alcazar. I have stayed at one resort for the past 6 years or more and decided since I was coming with my new partner that we would try a new resort. Let me tell you I think we made a very good choice. The guys in the office were great and so were the house keeper boys. We met several people that we hung out with at the resort and dinners and bars. It was a big party all week long. We will be back. has come along way, great place! I stayed at the Alcazar when it first opened not to pretty, I recently returned to find a very nice resort. The entire courtyard and pool have been remodeled along with quite a few room improvements. For the money its the best deal on the beach. You have 2 pools and a Hot tub to pass the time and only steps to the beach. Try it you won't be disappointed. Have been to Fort Lauderdale a lot and stayed in many of the places, thought we'd try a new one - this was just a coat of paint on an old tired property that didn't even have its own staff and office. Had to go next door to check in. Don't bother.